Posted by Sean Graham-White over in another group. 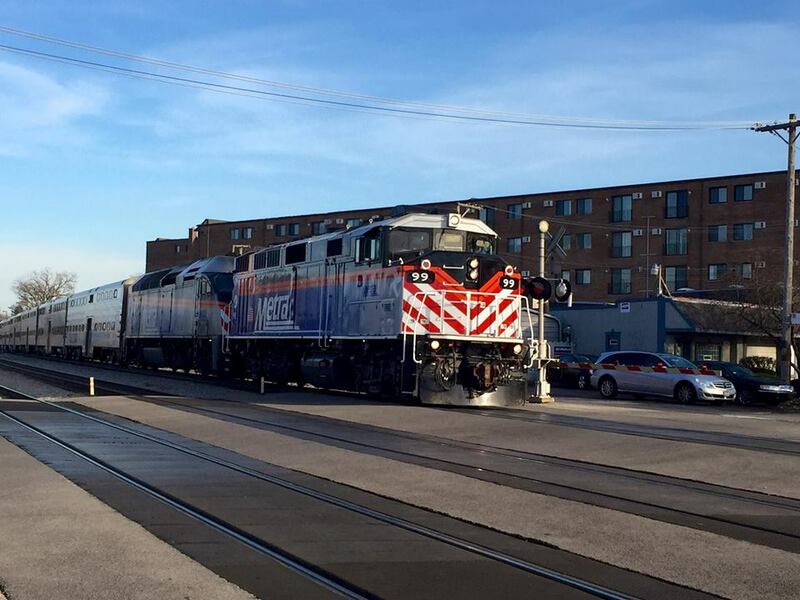 Metra proposes to repower two F40C locomotives used to provide commuter passenger rail service in the Chicago area. The repowering will consist of a new diesel engine and control package. The diesel engine will be certified to EPA Tier III requirements, thus achieving reduction in greenhouse gas emissions in addition to those achieved through remanufacturing of locomotives. This project also includes the purchase of spare parts. 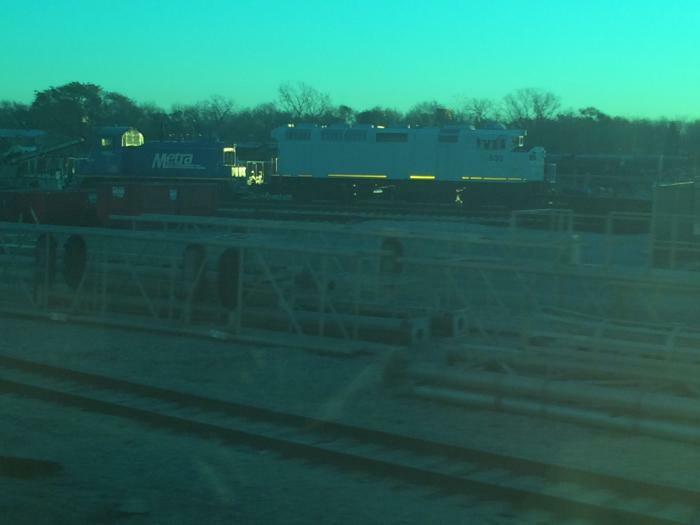 Metra is installing generator sets (GenSets) on two of its switch locomotives (numbers NIRC 6 & NIRC 7) operating on Metras Milwaukee District (MWD). 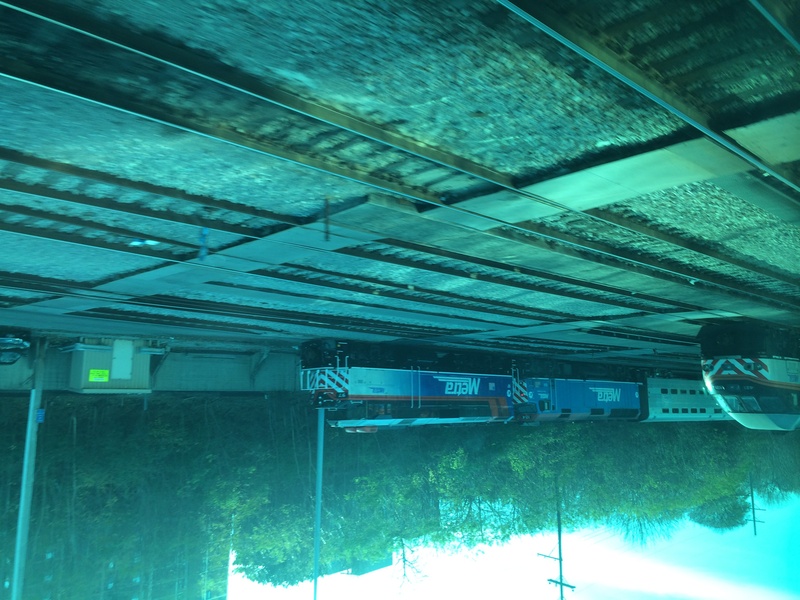 These switch engines are used mainly at Western Avenue Yard to add and/or remove cars from train sets, transfer train sets between the yard and Chicago Union Station and transfer equipment between operating districts. 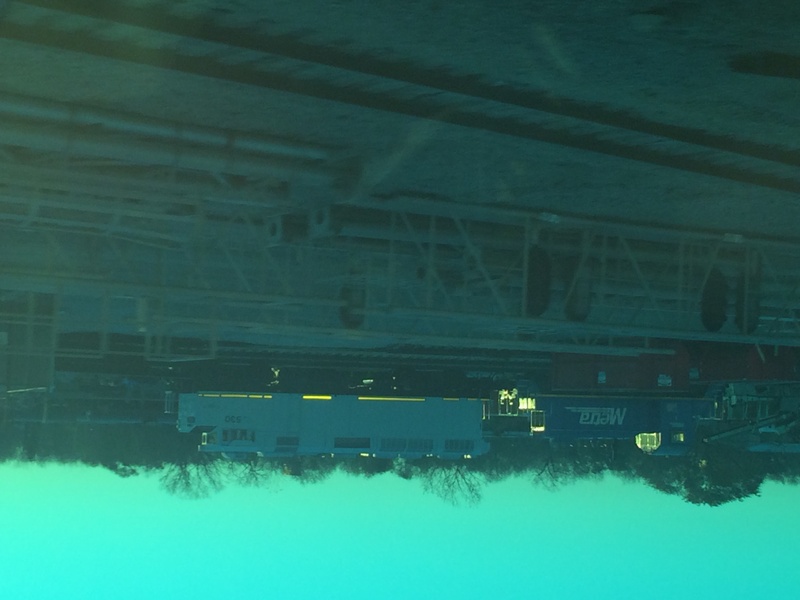 In addition, these locomotives are used in train service on the Milwaukee District during the construction season. This project funds the purchase of approximately 25 new advance design diesel passenger locomotives built to Tier III EPA specifications. These locomotives will replace 25 of Metras oldest locomotives which would need to undergo a second life extending rehabilitation which would include bringing them up to Tier III. It is more cost effective to purchase new locomotives. This project is for the mid-life rehabilitation of up to ten locomotives that are among those purchased in the early 1990s as part of a purchase of 30 F40PHM2 model locomotives using State of Illinois Bond funds. This rehabilitation will enable these locomotives to reach their useful life of 25 years with a minimum of maintenance on major components. This project will modify five MP36 passenger locomotives currently assigned to service on the BNSF. The project will replace the main engine driven generatorinverter combination that provides hotel power for the train consist with a separate engine/generator set for hotel power. This will save fuel and reduce emissions. This project will modify ten MP36 locomotives currently assigned to service on the RID and MWD lines. The project will replace the main engine driven generatorinverter combination that provides hotel power for the train consist with a separate engine/generator set for hotel power. This will save fuel and reduce emissions. This project has been funded partially under the FTAs Transit Investment for Greenhouse Gas and Energy Reduction (TIGGER) Program. FY2014 Federal Formula funds will be used to complete this project. This project will modify 12 MP36 locomotives by replacing the main engine driven generatorinverter combination that provides hotel power for the train consist with a separate engine/generator set for hotel power. The locomotives are currently assigned to service on the RID and MWD railroad lines. This will save fuel and reduce emissions. Interesting that the MP36 HEP is being converted from Static to separate engine (-3S to -3C). The only wish list I have is that the 4:45 get to the destination at 5:27. What no wish to convert the lines into high speed monorails? Sean was just copying something from the Metra capital plan (and it is questionable whether buslist was conforming to our Community Guidelines by just copying that verbatim). Obviously, with billions of unmet capital needs, and Metra being the finest commuter railroad of the 19th Century, its management wasn't dreaming about that. As I implied by my comment, while there are a few of us (not me) who try to find the differences in the sounds of various bus powertrains, I'm sure that most of our members have little interest in what is inside the shell of a locomotive. Maybe Metra can do something to combat all that soot, however. I'm still waiting for the fare system to get out of the 19th century to at least circa 1998, never mind the rolling stock. One of the three has arrived. I wonder why they numbered it 99 instead of 217. These are from Rail World Locomotive Leasing. This is one of the three F59PH purchased from AMT last year. 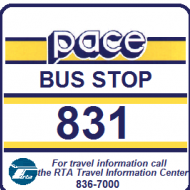 According to Railroad.net 99 is AMT 533 (originaly GO Transit 526) and 97 & 98 will be ex 526 and 530. In the document Andre posted last week there is also an F40PH acquired in 6/15 being rebuilt as 217 - this is probably from Railworld. So it is purchased, as in sticking around or it's leased as in maybe not? For reference (linked from Railroad.net) , this is what it looks like (check the 1:11:00 mark). The cited capital report said they were purchased from the leasing company, basically as spares. 530 (98) is at 127th yard in white primer. A week later, 530 (98) hasn't moved. Here's what it will look like when painted. #97 in the Elgin yard. Caught on video in Roselle by Metracab123. Me too! I don't think they have the Mars Light though. Just saw 97 on the front end of a 2 loco train on the MDN at Lake Cook. It seems like they're still "breaking it in" by running it with another loco, even though it's been in service for three weeks now. At least it's been that way in all the pictures I've seen so far. Metra doesn't use Mars Lights. They use Rotalights. 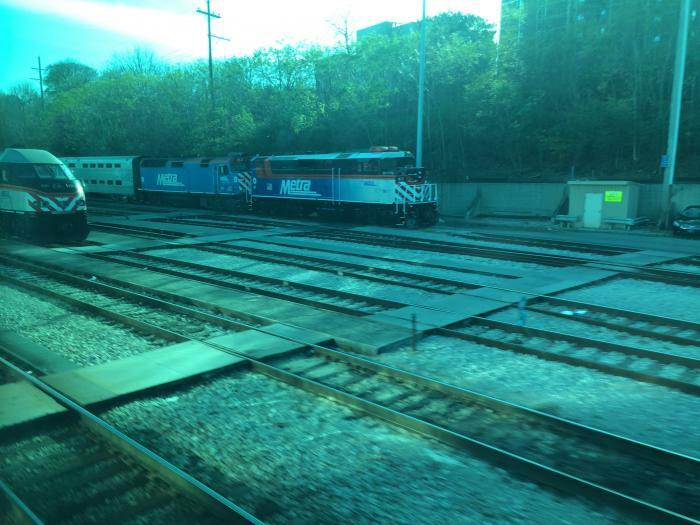 Tribune article that Metra is going to purchase some Amtrak F69PHI locomotives. Best as I can tell, these are west coast ones being superseded by the Chargers, such as the Charger on the train that went off the bridge. These are going to be similar to the newer engines they have they are shorter and probably less weight. Remember the issues they had with the UP bridges having weight issues. That will probably be addressed now with these lighter engines. Expect these to run on the UP lines. Metra agenda confirms you are correct. Amtrak must have already unloaded them on Progress Rail.